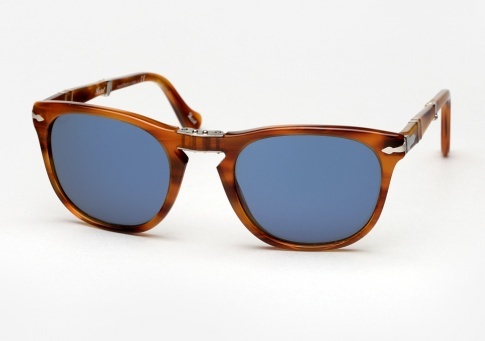 Persol 3028 - Honey Tortoise Need Help? The Persol 3028 is a timeless, well proportioned design that works on both men and women. A folding frame with handsome hinges at the bridge and temples allows it to fold down neatly into a compact case– perfect for easy storage and transport. Featuring Persol’s Iconic Supreme Arrow metal hinges, Meflecto temples, and classic Keyhole Bridge. Handmade in Italy and offered here in "Honey Tortoise" paired with blue lenses.